You can take an extra 25% off of all sale items today at Peek. There are some really great things on sale right now, and some pretty good deals. 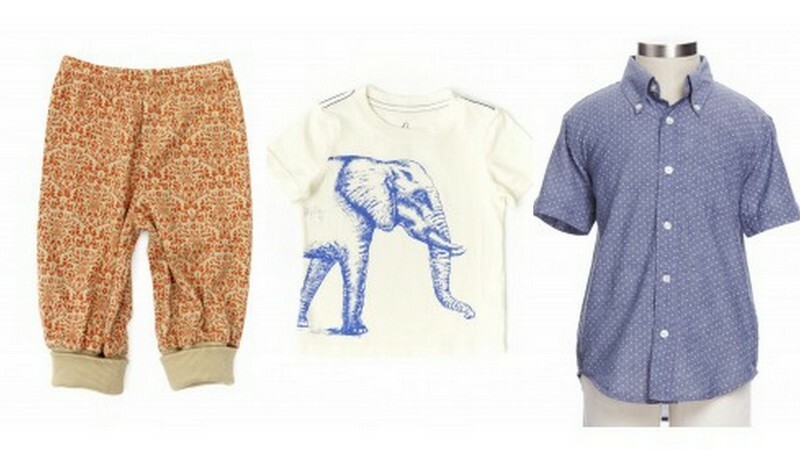 I love that subtly-dotted chambray button-down shirt for boys and the shape of the floral baby pants above is perfect for chubby, wiggly baby bodies. Peek is always a breath of fresh air, and this sale does not disappoint! thx for pointing me to this. I have an elephant and other safari animal lover in my home -- and they were a perfect match! Thank you!